Former President George Herbert Walker Bush passed away on Nov. 30 at the age of 94. Barbara, his wife of 73 years, had died on April 17. He said he was ready to go and be with Barbara and with Robin, their daughter who had died of leukemia at age 3. The expected expressions of respect and condolence came from world leaders, as well as Democratic Party officials. But soon, we can expect to see current Republicans ‒ especially President Trump ‒ compared unfavorably with the late President. This is hardly anything new. 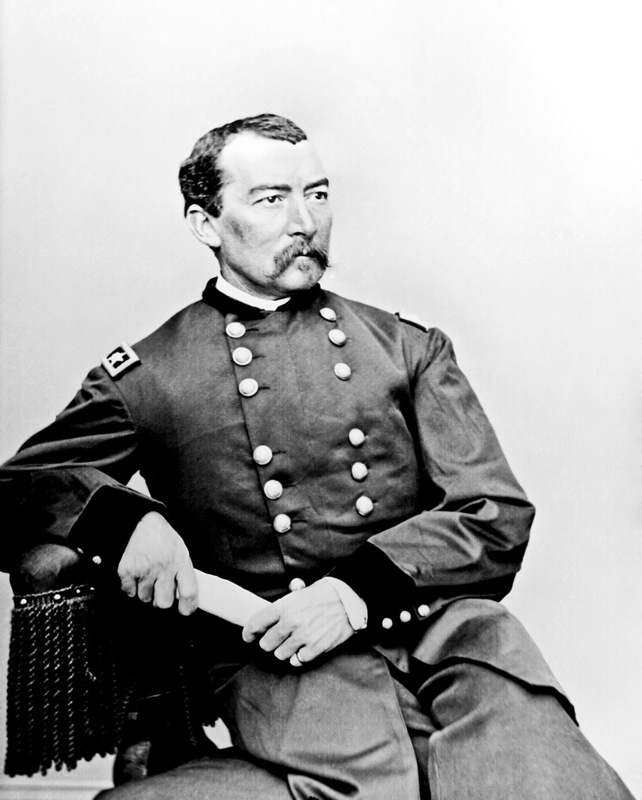 General Phil Sheridan played a key role in the Civil War and later commanded U.S. troops in the West during the Indian Wars. He was said to have remarked, “The only good Indians I ever saw were dead.” This is often quoted as, “The only good Indian is a dead Indian.” Sheridan denied making the remark, but at the time it would not have been considered exceptional. The Indian Wars were bloody, and Sheridan had seen many of his troopers buried. Although the quotation is questionable, the thought is regrettably widespread. We may pretend to forgive our enemies after they die, and we sometimes even praise them. But the praise often rings hollow. It is used hypocritically, in an attempt to show how our current opponents compare unfavorably with those of the past. For example, take Ronald and Nancy Reagan. The mainstream media now portray them as what they were – a truly devoted married couple. But in addition, liberal commentators fill newspapers and the Internet with endless, unfavorable comparisons of President Trump with Ronald Reagan. One might think that while he was president, Reagan was highly regarded by these pundits. One couldn’t be more wrong. Reagan was regularly derided as a fool, an idiot, a pinhead, and an uncaring, cold-hearted man who “slashed AIDS funding.” In fact, AIDS was first identified as a new disease in mid-1981, Reagan’s first year in office. He couldn’t have “slashed” AIDS funding, because of course there wasn’t any before the disease was identified. In fact, AIDS funding went up every year of Reagan’s presidency, from 1981 to 1989. And it continued to go up each year of the presidency of Bush the Elder, from 1989 to 1993. Nevertheless, this lie continues to be spread in leftist media, and even in scientific journals. And don’t forget Reagan being ridiculed as a vegetable. During their presidencies, Eisenhower, Reagan, Bush I, and Bush II were regularly mocked as idiots and morons incapable of fulfilling their duties. But oddly, after they left office, they were praised as intelligent and wise when compared to later Republican politicians. Psychologists would have difficulty explaining how Republican presidents gain IQ points after they retire. Perhaps Democrats look upon them more kindly when they see them in the rear-view mirror, and especially when they see them in the ground. The same phenomenon applies to other aspects of Republican presidents. While in office, Democrats depict them as warmongers, militarists, fascists, Nazis, and even Hitlers. But after they leave office, they are seen as competent, even noble, while current Republican office holders are compared to Nazis. Thus Donald Trump is compared to Hitler, not only by Democrats, but also by Mexican politicians who should know better than to meddle in American politics. Don’t they understand that by insulting our President, their vitriol may backfire and actually gain Trump support? Trump as Hitler? Hitler committed suicide at 60 after being responsible for at least 40 million deaths. Trump is 72, but has yet to start a world war or institute genocide. Maybe he’s just waiting for the right moment. To leftist paranoids, that statement would not seem like sarcasm. Perhaps I missed it, but did Hitler have a daughter who married a Jew, became a Jew, and gave him two Jewish grandchildren? No, but Trump does. Trump as anti-immigrant? Both of Trump’s paternal grandparents were immigrants, his mother was an immigrant, and he is married to an immigrant. A strong friend of Israel? Many immigrants in his family? Some Hitler! In reality, Donald Trump is a really lousy candidate to be cast as Hitler. Nevertheless, Trump and other Republicans are compared to Hitler and Mussolini. And they are compared unfavorably with Ronald Reagan. Reagan is now portrayed by liberal pundits as the ideal conservative. 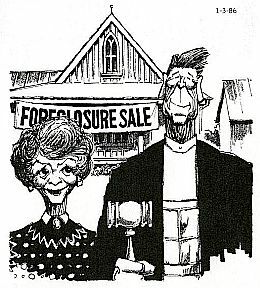 But while he and Nancy were alive, they were vilified unmercifully. Ronald Reagan was shot by John Hinckley Jr. on March 30, 1981, 69 days into his presidency. He literally came within inches of death. Pope John Paul II was shot on May 13, 1981. He too recovered, but neither man was quite the same afterward. Conspiracy theorists continue to theorize about the assassination of President Kennedy in 1963. But attempts on the lives of two leading anti-communists within a short time? That somehow does not excite the interest of theorists. Does this suggest the political orientation of the theorists? It may not be hyperbole to state that some leftists’ chief regret was that John Hinckley Jr. was not a better marksman. George H. W. Bush was a courageous naval aviator, a good husband, a loving father, and an honorable public official in several capacities. But at the time, he was subjected to merciless criticism and ridicule. This is how the media depicted a man who had flown off carriers at age 20 and been shot down by Japanese aircraft, forcing him to crash land in the Pacific. Some wimp! While some pundits saw George H. W. Bush as an ineffectual wimp, others saw him as an evil genius and Machiavelli. They wanted to have it both ways. 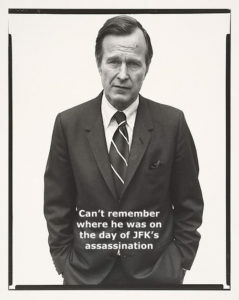 But now that he is dead, Bush’s positive qualities will become apparent to leftist commentators, who will compare current Republican leaders to him unfavorably. And so it goes. General Sheridan may or may not have said what he is reputed to have said. But in effect, Democratic pundits are saying something similar today: The only good Republican is a dead Republican. That was a questionable way of thinking during a military campaign a century and a half ago. It is totally inappropriate today. It is a matter of faith that George H. W. Bush is now with his wife and small daughter. But it is an incontrovertible fact that after his death, pundits will transform him from an ineffectual wimp and devious schemer into a splendid role model, in comparison with whom current Republicans fall far short. Maybe you forgot about Bush’s racist Willie Horton TV ad, that served as a dog whistle for racists and helped him beat George Dukakis in 1988. He was no hero. Maybe you forgot that it was Al Gore who raised the issue in a debate with Dukakis. Maybe you forgot that only dogs hear dog whistles, so using that expression implies that conservatives are dogs. Maybe you forgot that making a factually correct statement may be uncomfortable, or politically incorrect, or annoying, but how is it “racist” to state the truth? Combat Navy pilot George H.W. Bush was a wimp? Give me a break. Did Newsweek ever use the word wimp to describe draft dodging, skirt chasing Bill Clinton, or pot smoking, red line drawing Barak Obama? No they did NOT. The media isn’t just biased, it’s twisted. Couldn’t say it better, milord. Did you watch the G.H.W. Bush funeral at the National Cathedral? Why did all the ex presidents and their wives recite the Apostles Creed, the central expression of Christianity, but Trump and Melania didn’t? Are they really Christians? Are they so arrogant that they don’t join the others in prayer? Tell me that. I am not a mind-reader, so I can’t say what was in the President’s and First Lady’s minds. Nor am I a theologian, so I can’t tell you whether the version of the Creed at that Episcopal service was the same as the one Melania uses as a Roman Catholic. But I can say that members of other faiths (Melania is a Catholic and Trump a Presbyterian) have every right – in fact a duty – to attend the service, show respect, but not actually participate in it. When we descend to the level of questioning whether their lips were moving during a prayer in a church of which they are NOT members, what comes next? Perhaps Jim Acosta can harangue Trump at the next news conference about his views on Transubstantiation and the Real Presence. And these anti-Trumpers are the same people who would scream bloody murder if a political figure expressed any religious sentiment. They would howl about separation of church and state, just as they condemn Vice President Pence for his openly expressed Christian faith. Incidentally, it is called the National Cathedral for convenience, but its real name is the “Episcopal Cathedral of St. Peter and St. Paul in the City and Diocese of Washington.” Of course, we do NOT have a national cathedral. For example, when President Kennedy was assassinated, the Requiem Mass was held at St. Matthew’s Catholic Cathedral in Washington. The Bush funeral was in an Episcopal church, and neither Trump nor Melania are Episcopalians, so no one should complain when they attend a service, pay their respects, but do not actively participate in the service. Period. Full stop. What does Trump believe? None of my damn business, and none of anyone else’s, either. I’ll keep my hands off your prayer book, but you’d better keep your hands off mine.